Holiday in Brazil is incomplete if you don’t visit its mesmerizing beaches. In fact beaches are biggest highlight of the country. Millions of tourists visit Brazil for its gorgeous shorelines and the interesting water sport activities of the beaches. Brazil boasts a number of amazing beaches that are just lying there to be explored. If you are planning to visit Brazil for a holiday this season, may be you have come to the right place. The article highlights the top 5 beaches of the country that you must visit. Jijoca de Jericoacoara, Ceara – Nicknamed as “Jeri,” this attracts a number of water sport lover to its shores. An isolated place 20 years ago, Jeri is one of the most sought after beaches due to its sand-covered roads and glittering surroundings after the sun sets. This is known for activities like horseback riding, sailing, kite surfing, and sand boarding and windsurfing. Occasional capoeira are also performed on these beaches. 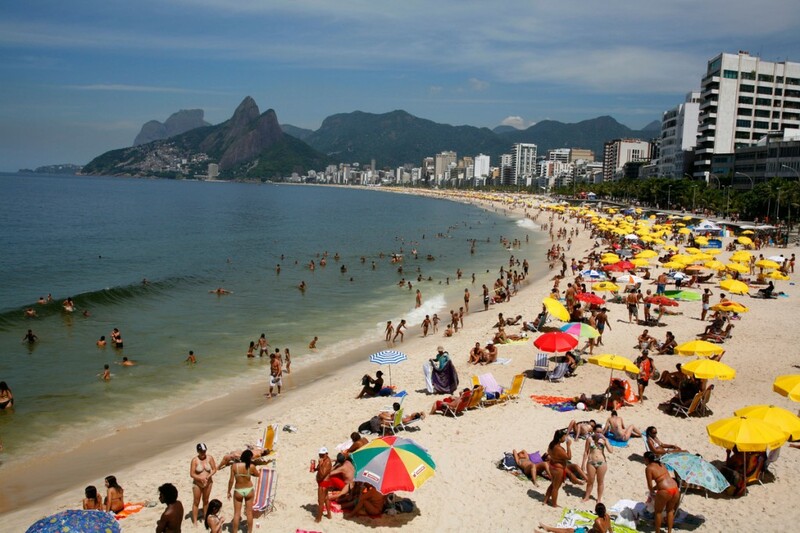 Ipanema, Rio de Janerio – The panoptic panorama of Ipanema is studded with vibrant Brazilian activities and festivities. Although Ipanema means ‘bad water’ in old Tupi language, the flawless beauty of the beach contradicts the meaning. The unadulterated beauty of the beach makes Ipanema one of the beautiful beaches in the country and most renowned in the world. The private infrastructure and healthy tourism make this place a good spot for Brazilian activities. Carnival festivities also make it a popular spot. One can easily spot celebrities and famous personalities here. Fernando de Noronha, Pernambuco – A Shangri-la for those who took the pain to explore 20 best beaches of Brazil, this volcanic land is composed of islands and islets in the Atlantic Ocean. Praia do Sancho (Sancho Beach), Atalaia and Baia dos Porcos are mostly recommended by activity providers to enjoy the safe water-based activities. Fernando de Noronha is a hotspot for scuba divers and snorkelers. Praia de Pipa (Pipa Beach), Rio Grande do Norte – It is yet another wonderful beach that makes a trip to Brazil interesting. People come to this place to do typical tropical Brazil activities like snorkel, horseback riding on the shores, canoeing, surfing and swimming etc. If you are lucky enough, you can catch a glimpse of dolphins and sea turtles. Further to add to its beauty, Pipa Beach is dotted with several resorts, restaurants, boutiques and ecological sanctuary that enhance the overall look of the bay. One can reach the place by private car or take a bus trip from Natal. Porto de Galinhas, Pernambuco – The beach is voted by a Brazilian Travel Magazine as the best of the best beaches in Brazil eight times now. This is one of most recommended beaches during your trip to the country. Porto de Galinhas is famous for its wonderful coral reefs, piscinas naturais (“natural pools” in Portuguese) and bright-water beaches. Make the most of your trip with Brazil visa. These are the top and most famed beaches, which one should not miss visiting while holidaying in the country. Visiting Brazil requires no travel documents for Americans. However, for people outside the US, it is important to hold a valid Brazil tourist visa to explore the country. Make the most of your Brazilian trip. Don’t miss the beauty and fun of the scintillating beaches of the country. Brazil has more than five beaches.The list of attractive beaches in Brazil is huge. Infact, it will not be wrong to call it as the best beach location in the country. What Do the Different Colours of Roses Convey? What Meanings Do Flowers Convey?